News - The 2018 World Cup is here! The 2018 World Cup began on Thursday in Russia. The first match was between Russia and Saudi Arabia where the hosts, Russia, won easily 5-0. The next day saw a draw between Spain and Portugal in an exciting match in which Cristiano Ronaldo scored a hat trick (three goals). France won their first match 2-1 against Australia with a winning goal in the 80th minute. There was a surprise defeat for current World Cup champions Germany on Sunday. They lost 0-1 against Mexico. Will they win against Sweden on Saturday? Group G teams play today with matches for Belgium and England, followed by the final group, including Poland, on Tuesday. 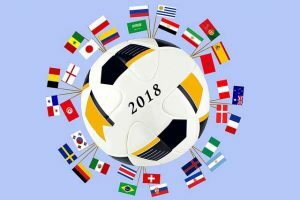 Who do you predict will win the 2018 World Cup? This entry was posted in General, News, Sports. Bookmark the permalink. It’s a amazing match !!!!!! ^-^ ! I think that Spain will win because they are really good !